World champion Wayde van Niekerk has been recognised once again for another incredible season, after being included among three men’s finalists for the IAAF World Athlete of the Year Awards. His 2017 campaign included two medals at the World Championships in London in August and a 300m world best of 30.81 in Ostrava in June. Van Niekerk also went unbeaten in the 400m event, successfully defending his global title. “It is such an honour to be recognised as a finalist again,” he said. Last year Van Niekerk was also among the finalists, after winning the Olympic 400m title and breaking the world record, but he lost out to Jamaican legend Usain Bolt who earned his third straight Olympic treble. This year he is up against British distance runner Mo Farah, who secured 10 000m gold and 5 000m silver at the World Championships, and world high jump champion Mutaz Essa Barshim of Qatar. 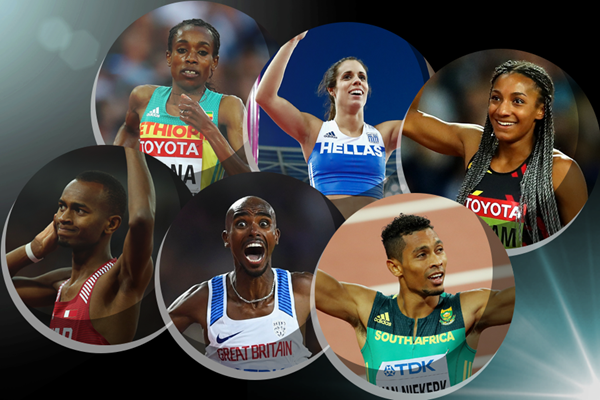 The winner will be revealed at the annual IAAF awards ceremony in Monaco on November 24.